This sign just cracked me up. 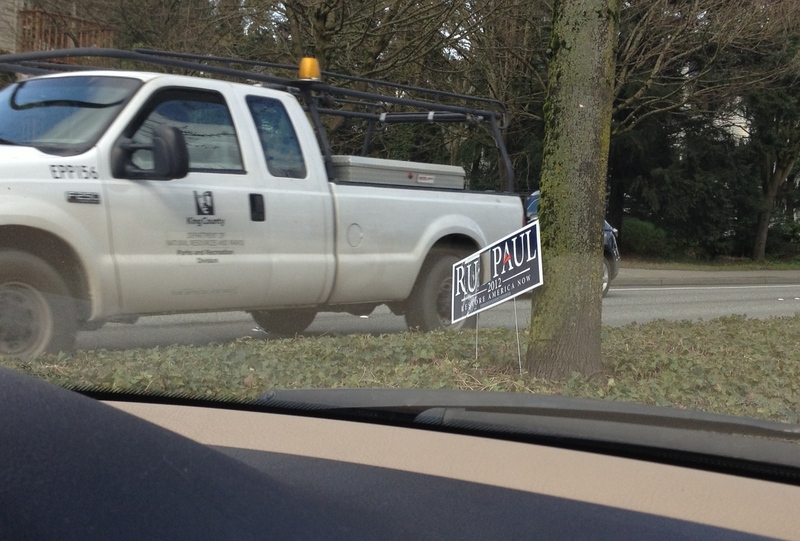 Driving in Redmond, Washington almost two months ago I came across this doctored sign and without the iPhone camera handy I wouldn’t have been able to share it with you. I’m not a big fan of iPhone photography necessarily. It’s a fine camera but I’m not enamored with it to the point some seem to be and it’s frankly a pain not to have control of the various settings most of the time. That said, in a pinch it’s very handy to have around. The only edit was a crop done in one of my iPhone photo apps (don’t remember which). Just plain cute. I grabbed this while my wife and her sister were trying to get our youngest to smile for the iPhone. Sometimes these are the best pictures. Since this is supposed to be a photography blog I can’t leave out the processing…I hit the “Auto” button and did a couple other minor tweaks in Lightroom. Manual mode, flash bounced off the wall behind the camera. We’re off to Hawaii and I’m I’m taking the opportunity to post an iPhone snapshot of my wife and daughter in the airport waiting for our flight. I’m posting via inflight wifi and typing in the WordPress app with one hand on my iPhone (my wife’s coffee in the other). I honestly don’t know how it’s going to look with respect to photo size, etc. — I’ve never used the app to write any posts before. 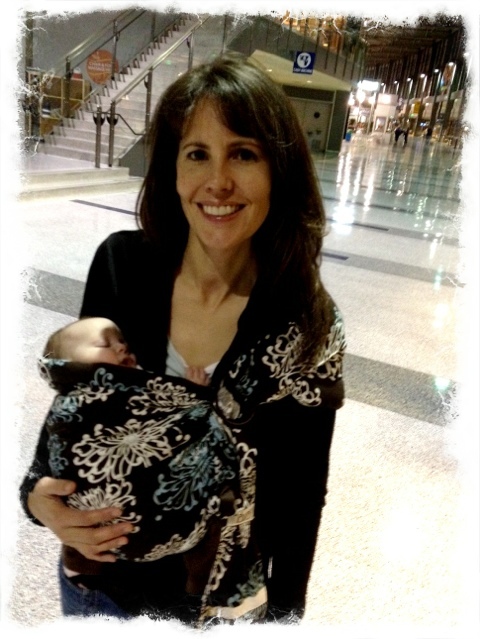 Little Eden slept for hours while we waited for our (delayed) flight then woke up as we pulled away from the gate. Nancy fed her as we gained altitude so her ears could pop and she’s been a perfect angel ever since. What a sweetheart! My friend Jim Nix at http://nomadicpursuits.com has been doing a lot of iphoneography lately and this is a perfect post to call that out and point you to his blog. Hope this post turns out alright..